Rhonna has done it again! 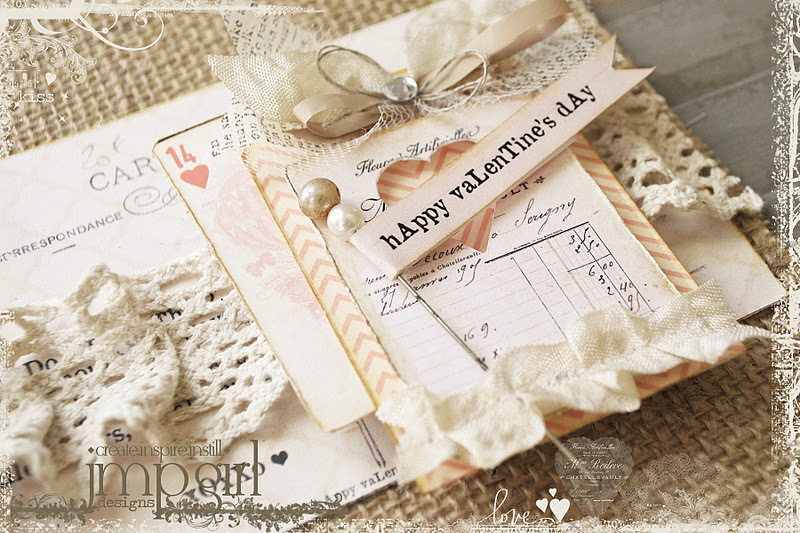 With a gorgeous kit perfect for Valentines. the kit includes a brush kit. i have so many things i want to do with this kit my mind just keeps racing. love having creative thoughts that keep me motivated in every area of my life. so i created a little wall art. well...it's actually 8x10...and sits in a shadow box. i love how that looks in the shadow box...but i my photography of it was hideous...so i just had to let it go. 1.a scrap of burlap was adhered to a mat. 2. a few of the of the flags from the printables kit were trimmed and sewn to the top of the piece. 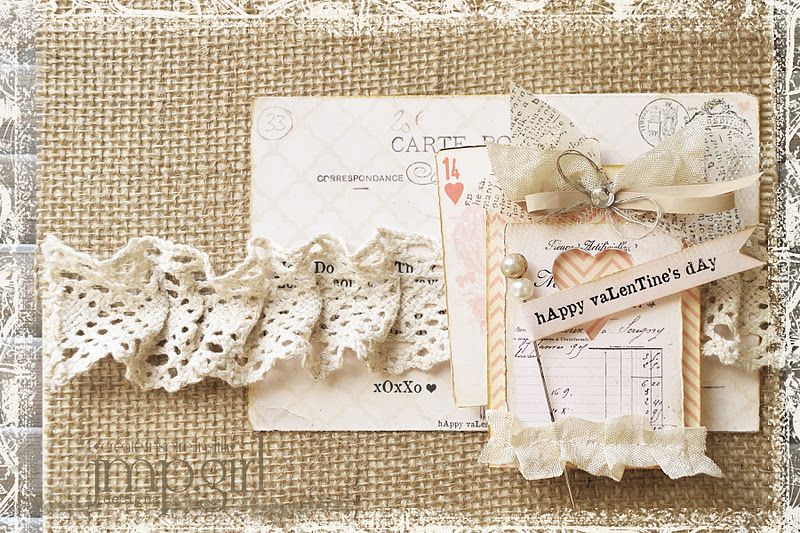 3. from the word art kit i printed the vintage post card and then sewed a piece of lace to the top to attach to the burlap matting. 5. those pieces were simply layered over the postcard and lace. a little junque bow tops that. and then i made a little flag from the printables kit and attached it to a vintage pin, and slipped it into the seam binding that had been sewn to the bottom of the tag. being creative and playing are so important everyday. if you have any questions on this, please leave me a comment...i would be happy to answer. and i know you will be seeing more of the kit from me...because i adore it!!! 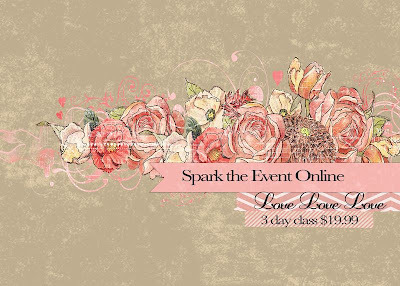 now i am off to margies...to spark my valentines...her new class::LOVELOVELOVE starts today. OMG…I've been playing with the digital files but have been too sick to add some hybrid embellishments.. Your sweet artwork is divine. I love the burlap. so inspiring. 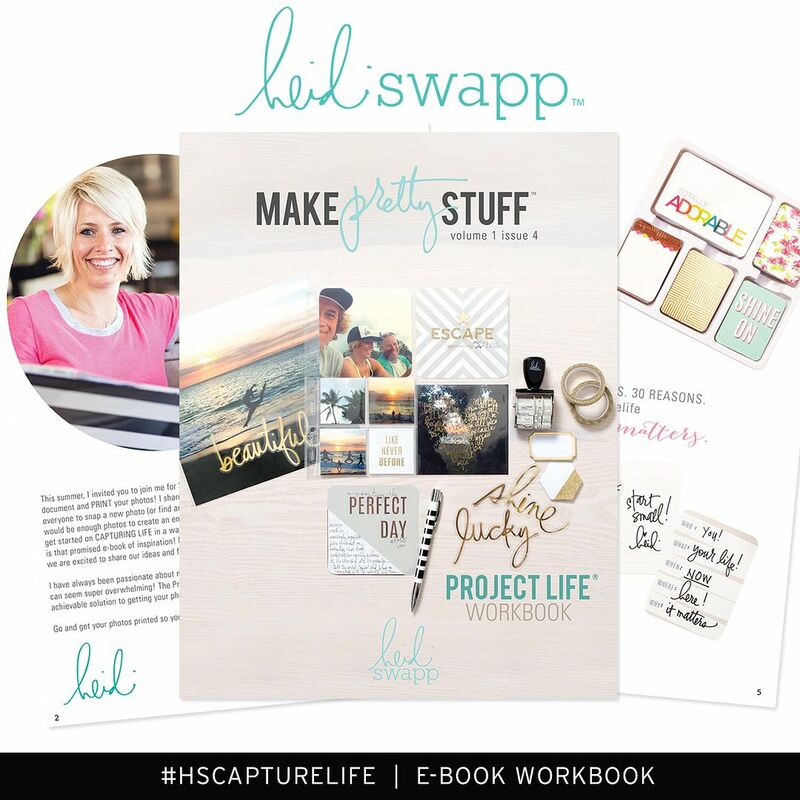 OMG ... mega inspiring especially for 12x12 layout...great combo! 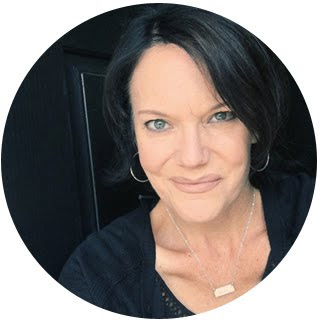 I have a lot of catching up to do on your blog! This is gorgeous! 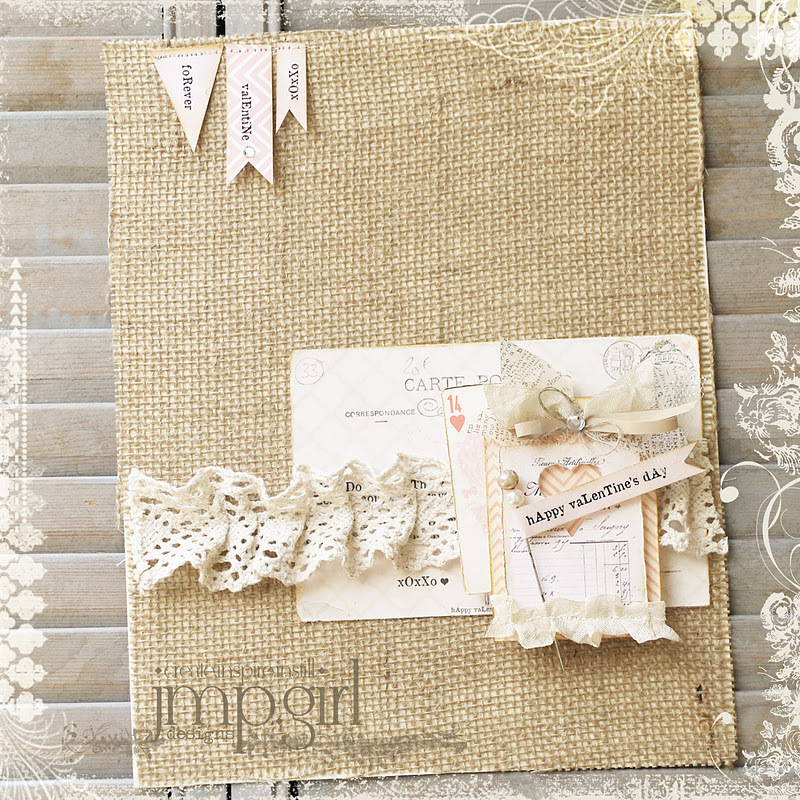 Only you can mix lace and burlap this way!!! Wow, i absoloutely love this project and would like to try and make one but I have no idea how to do anything digital :( i don't have a photo ediitng programme, I have never used Word before but do have it on my computer, could I use that? 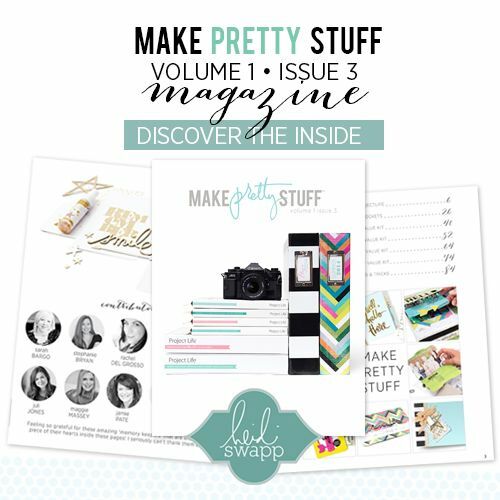 Did you print everthing onto white cardstock? Does everthing print at the size you used or do I have to select sizes for all the items I need to print? This is fabulous!! You did a great job!!! I LOVE burlap!! !